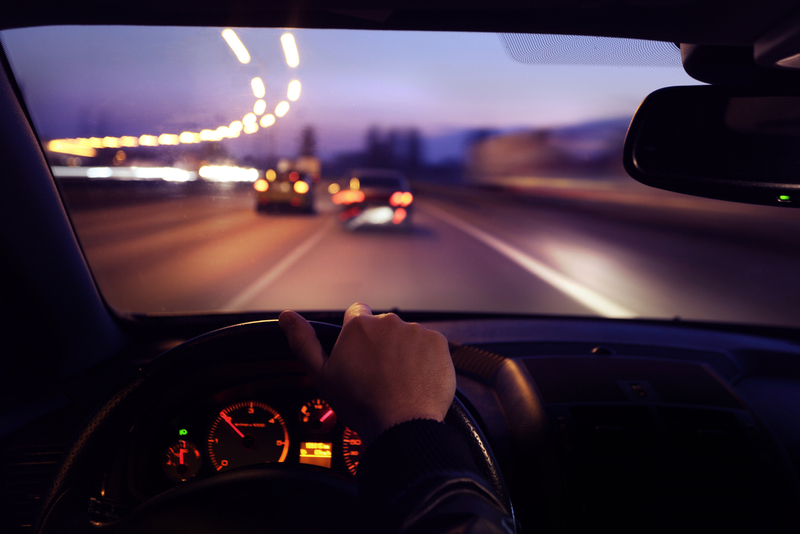 Without proper precautions, night driving can be very dangerous and unsuspecting. Your ability to plan ahead is just as important as your ability to alertly drive. Top Driver has identified some potential tips that will help you get through any necessary night trips. To learn more about Top Driver, visit us online as www.topdriver.com or call (888) 471-5418. Whether you have a new car or an old one, you should take the time to calibrate your headlights. The headlights should be calibrated to maximize glow but not blind oncoming traffic. If you can reduce the amount of lights on your instrument panel and dashboard, your eyes will naturally pay more attention to any lights coming in from the outside. For example, professional racers take this very seriously in order to avoid any distractions within the vehicle. If you need prescription glasses, you should have a pair in your car for nighttime driving even if you do not regularly wear them. Sunglasses and any other tinted glasses are ineffective as they discolor incoming lights. However, your normal glasses will help you enhance contrast and better distinguish objects. Staring at incoming bright lights can disrupt your focus just like how staring at the sun can. If you get caught off guard by incoming lights, turn your gaze away slightly to regain optimal vision. Cleaner windows and mirrors will contribute to better situational awareness. The last thing you want is not being able to see or distinguish incoming lights because your mirrors are tilted or your windows are hazed up. This entry was posted in Top Driver Blog and tagged adult driver's ed, Bad Driving Habits, Car Safety, Driver Education, driving at night, Driving School, How to Drive a Car, night driving, Road Safety, safe driving, tips driving at night.